Via della Fortuna straight ahead from crossroads with Via di Mercurio (on left) and Via del Foro (on right). Looking east from Via delle Terme. July 2011. Photo courtesy of Rick Bauer. 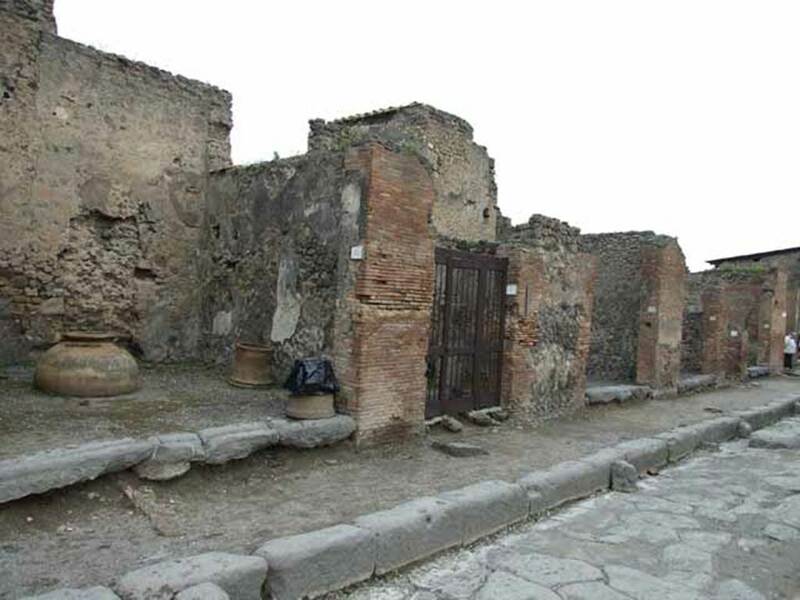 Via della Fortuna, Pompeii. January 1977. Looking east. Photo courtesy of David Hingston. 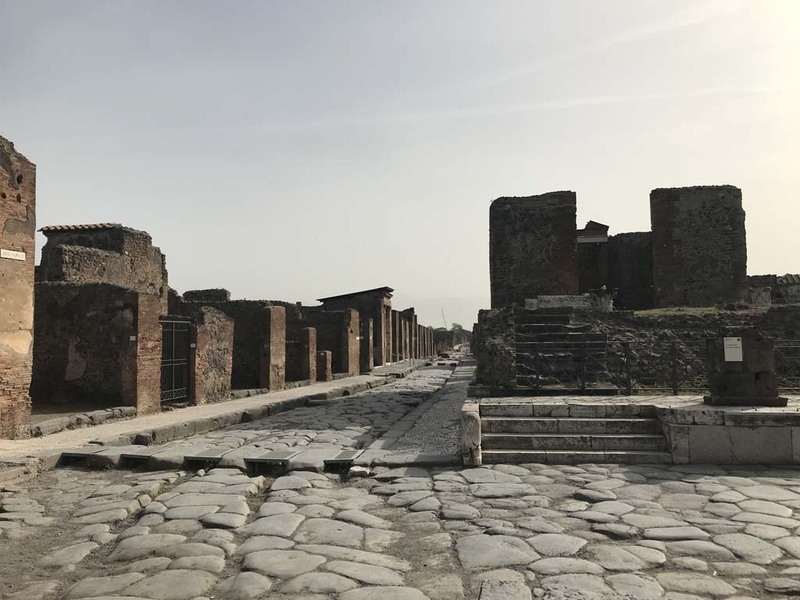 Via della Fortuna, Pompeii. August 1965. 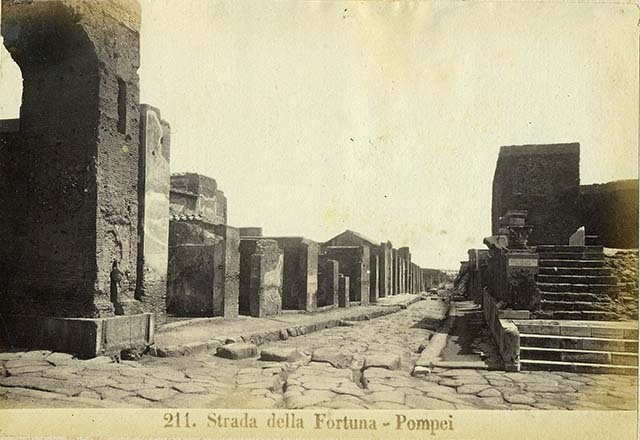 Looking east from crossroads and Temple of Fortuna Augusta (right). Via della Fortuna on the other, east, side of the crossroads, from Via del Terme. About 1909. Photo courtesy of Rick Bauer. 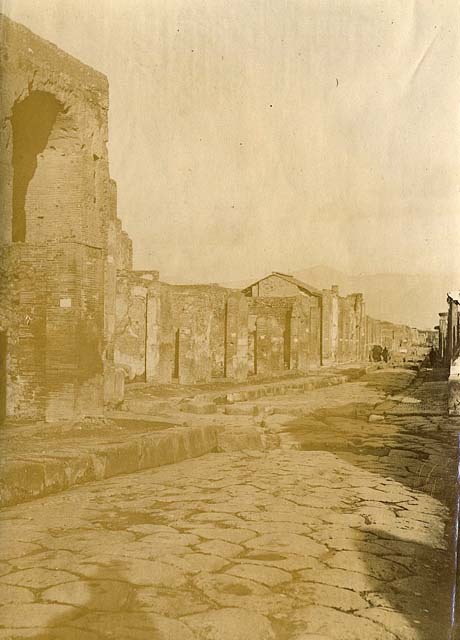 Via della Fortuna, Pompeii. 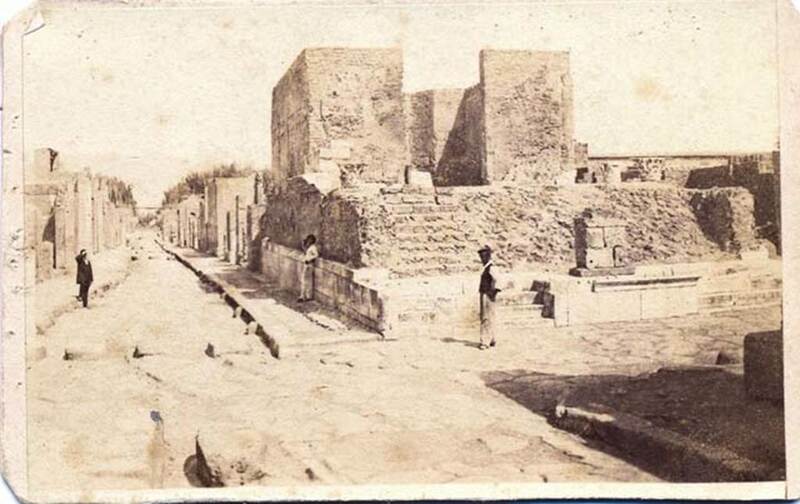 c.1880-1890. G. Sommer no. 1207. Looking east, from junction with Via del Foro, on right. 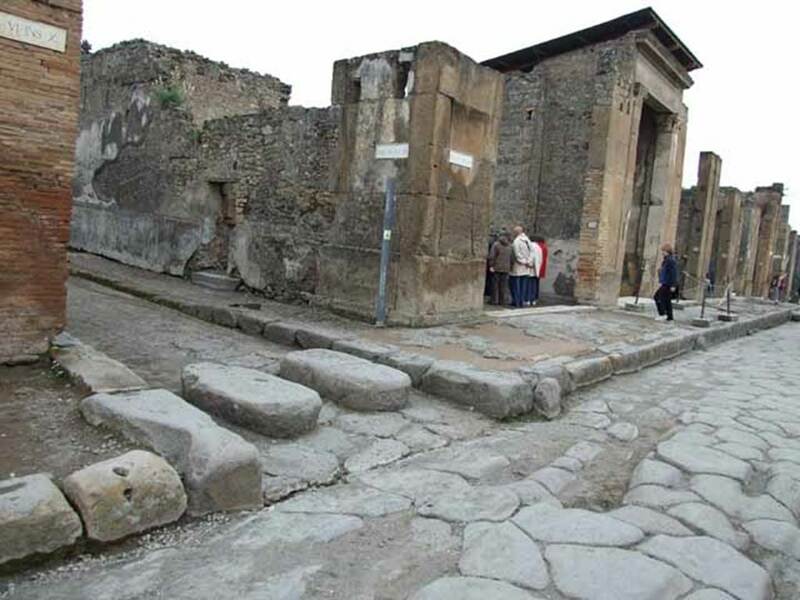 Via della Fortuna on the east side (left) of the crossroads and Via del Foro (right). Between 1867 and 1874. Via della Fortuna, (north side), July 2011. 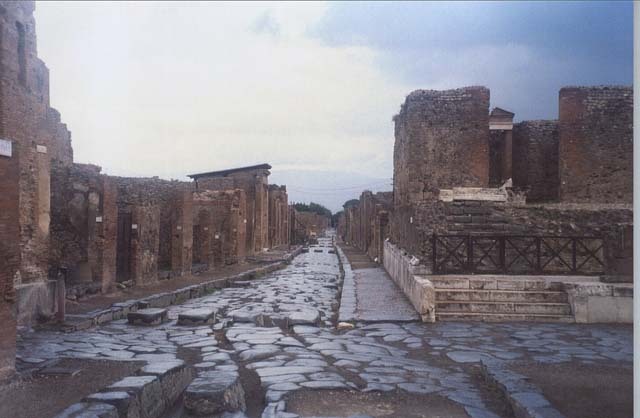 Looking east along VI.10, towards VI.12. Photo courtesy of Rick Bauer. 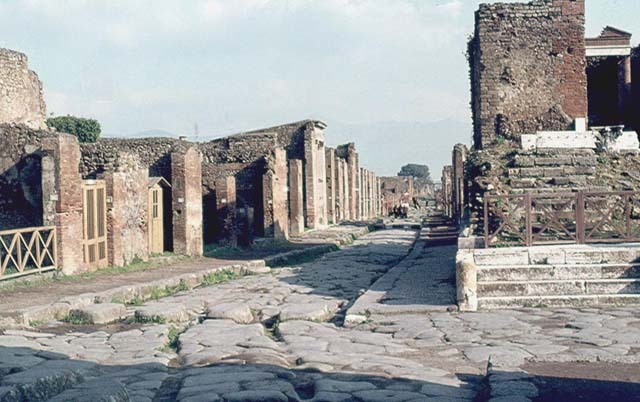 Via della Fortuna, Pompeii. c. 1900s. 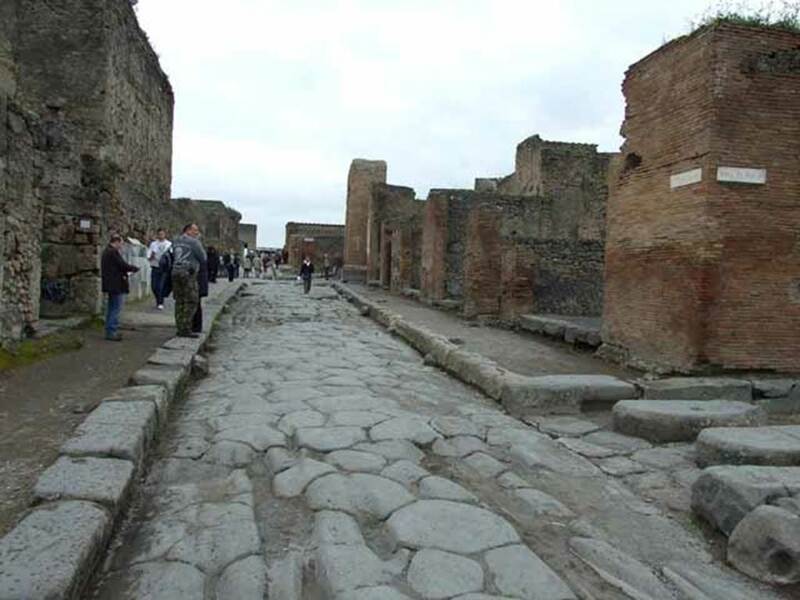 Looking east along VI.10, towards VI.12. 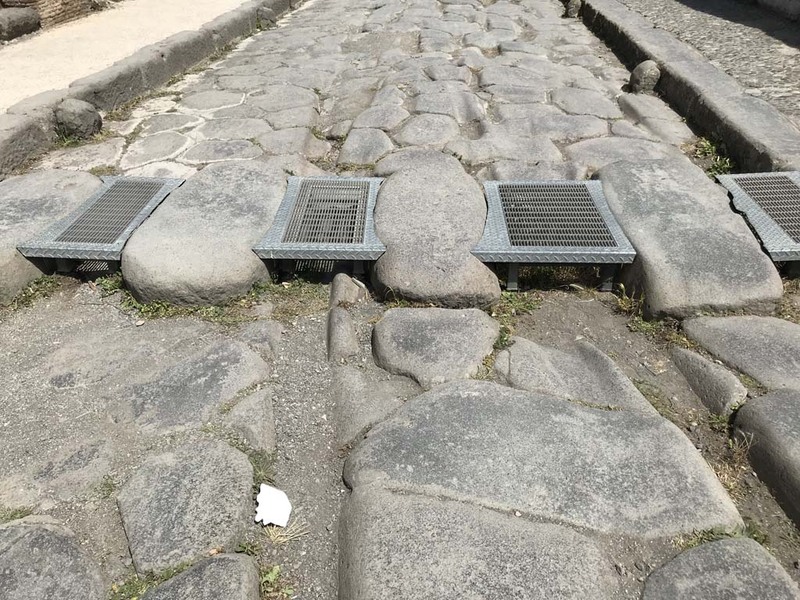 Via della Fortuna, Pompeii. 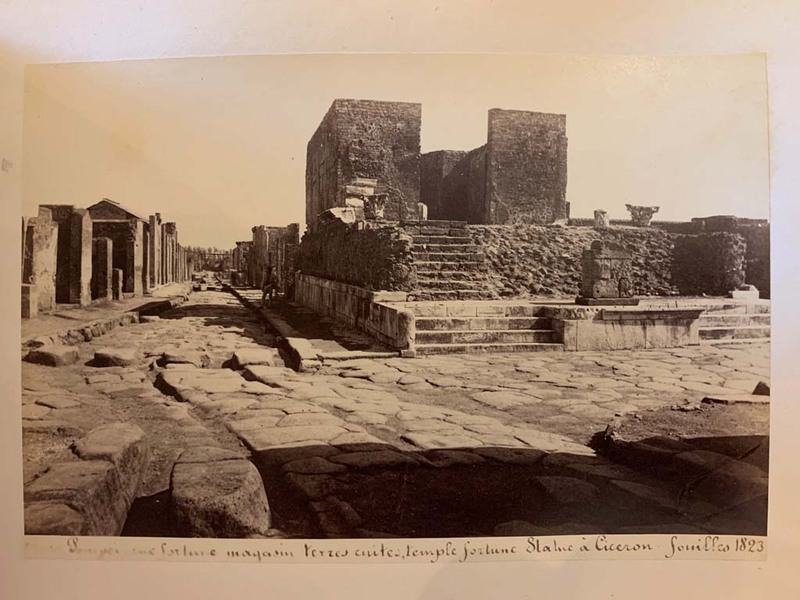 19th century photo by A. Mauri. 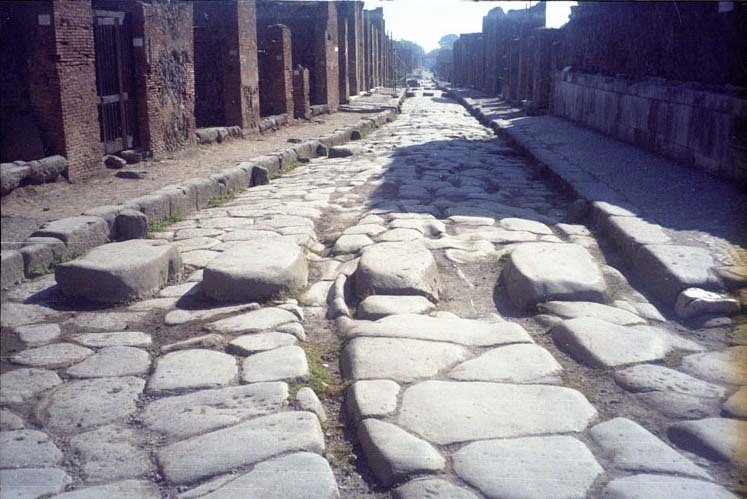 Looking east along VI.10, towards VI.12. 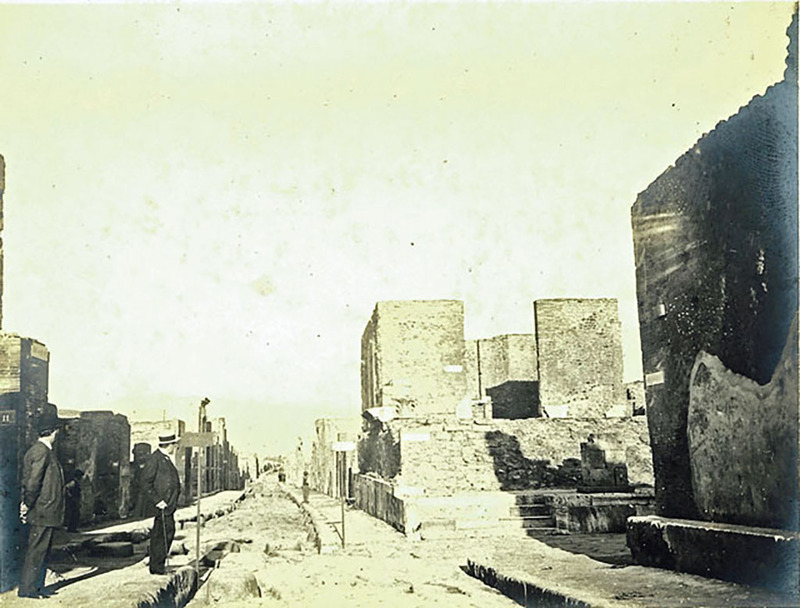 Via della Fortuna, November 1899. 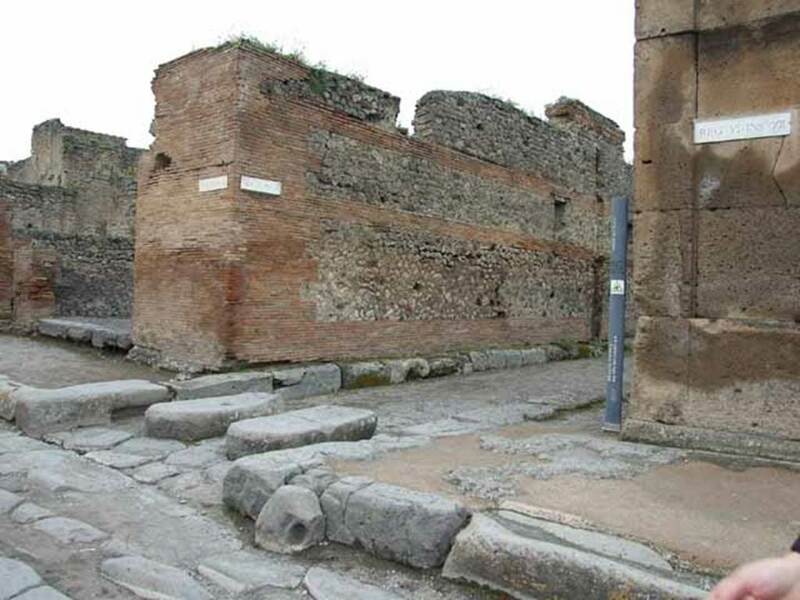 Looking east between VI.10, on left, and VII.4.1, Temple of Fortuna Augusta, on right. Via della Fortuna. July 2011. 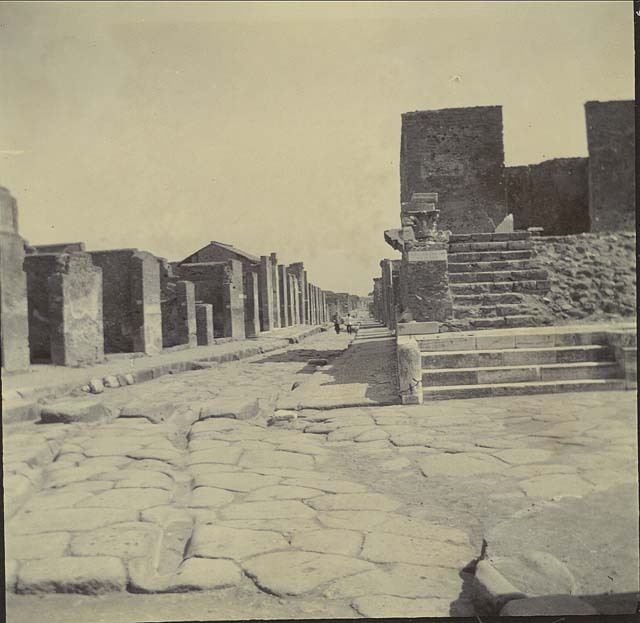 Looking east between VI.10 and VII.4. Photo courtesy of Rick Bauer. Via della Fortuna. October 2001. Looking north-west from between VI.10 and VII.4. Photo courtesy of Peter Woods. 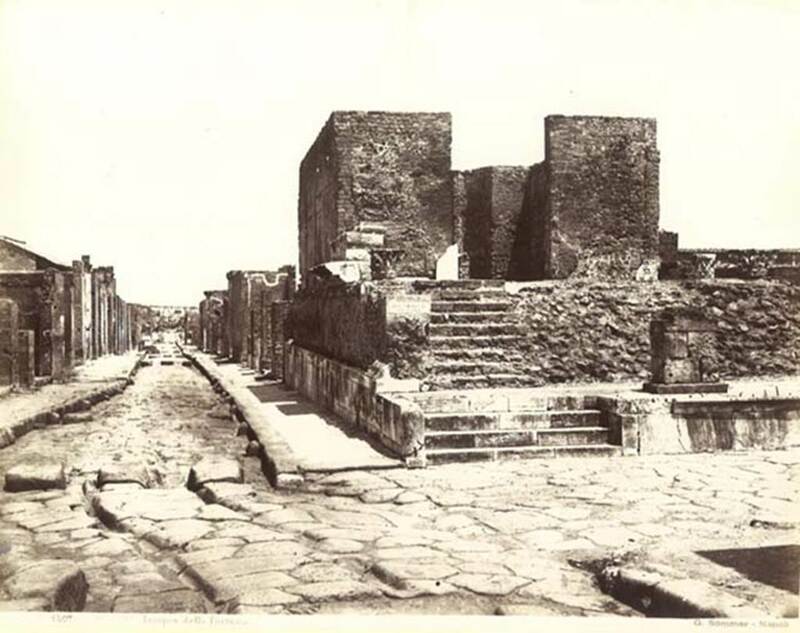 Via della Fortuna, Pompeii. October 2001. 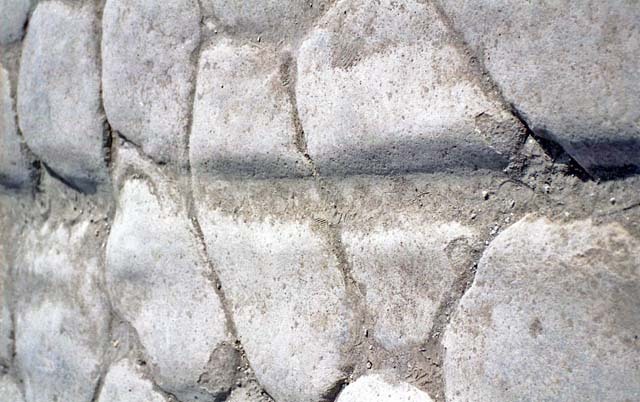 Detail of ruts in the roadway. Photo courtesy of Peter Woods. 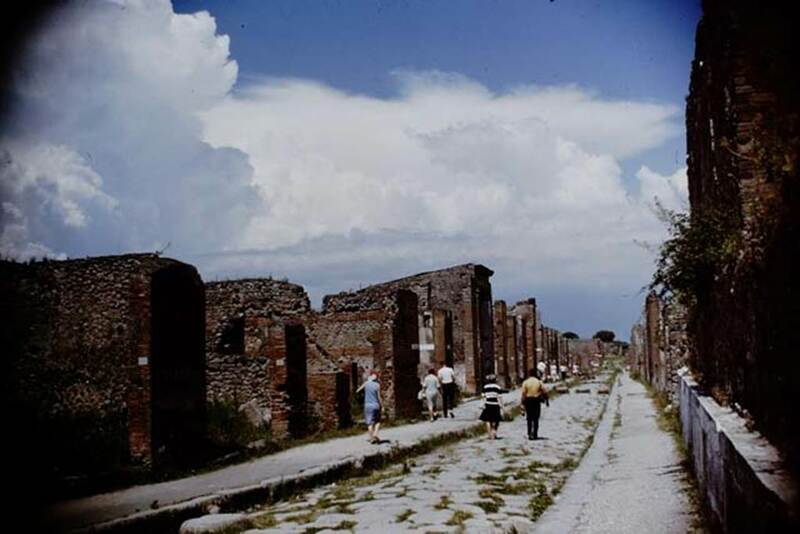 Via della Fortuna, 1964. 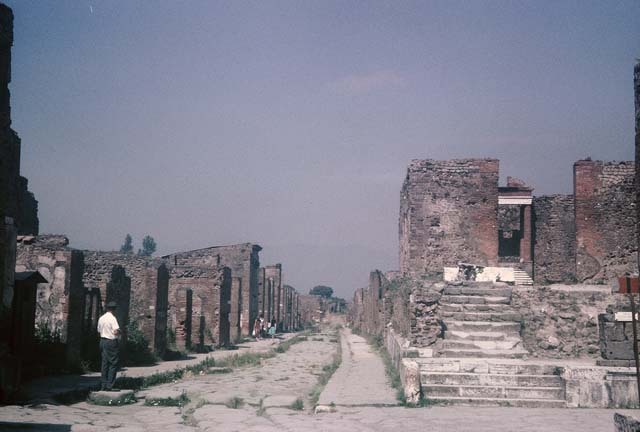 Looking east along between VI.10, and VII.4.1, on right. Photo by Stanley A. Jashemski. Via della Fortuna, north side, May 2010. 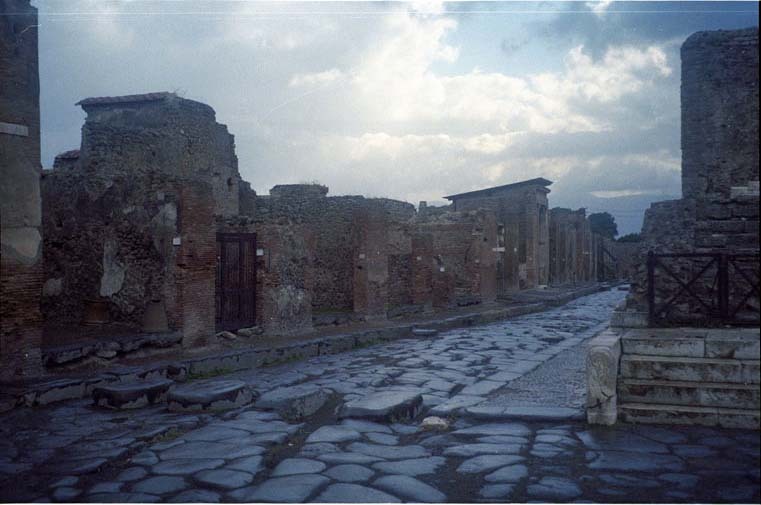 Looking east to junction with Vicolo del Fauno, between VI.10 and VI.12. Via della Fortuna, north side, May 2010. 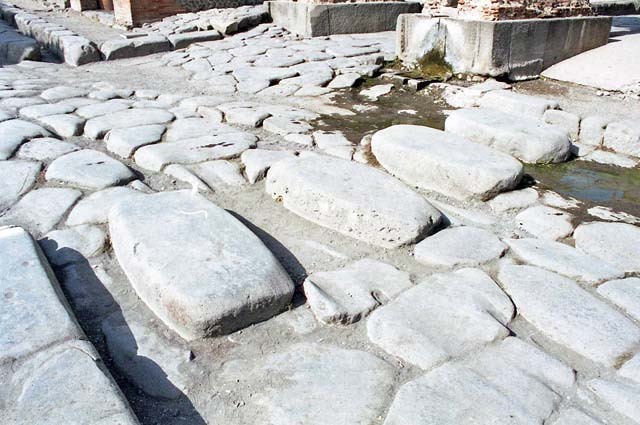 Junction with Vicolo del Fauno, between VI.10 and VI.12. Via della Fortuna, north side, May 2010. 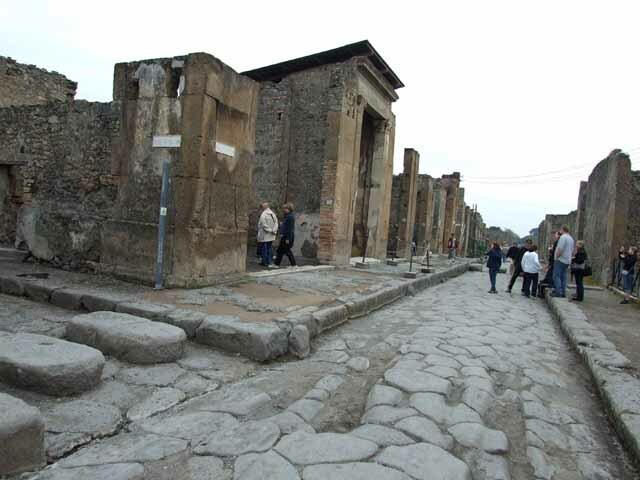 Looking west at junction with Vicolo del Fauno, between VI.10 and VI.12. Via della Fortuna, May 2010. Looking west between VII.4 and VI.10, from near junction with Vicolo del Fauno. Via della Fortuna, May 2010. 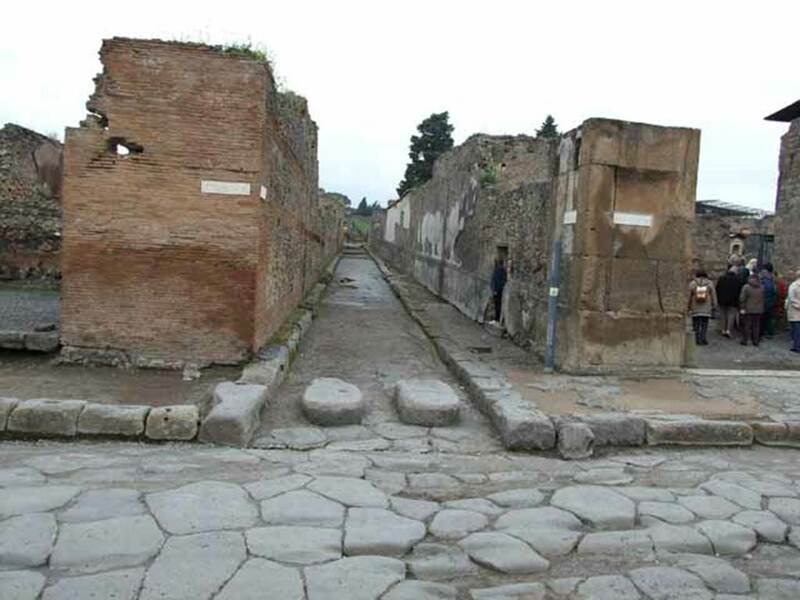 Looking east from junction with Vicolo del Fauno between VI.12 and VII.4. Via della Fortuna, June 2012. Looking east along pavement on north side, from near VI.12.4. Via della Fortuna, June 2012. Looking east along pavement on north side, from near VI.12.4 and VI.12.5. Via della Fortuna, June 2012. Looking east along pavement on north side, from near VI.12.5 and VI.12.6. Via della Fortuna, north side, May 2010. 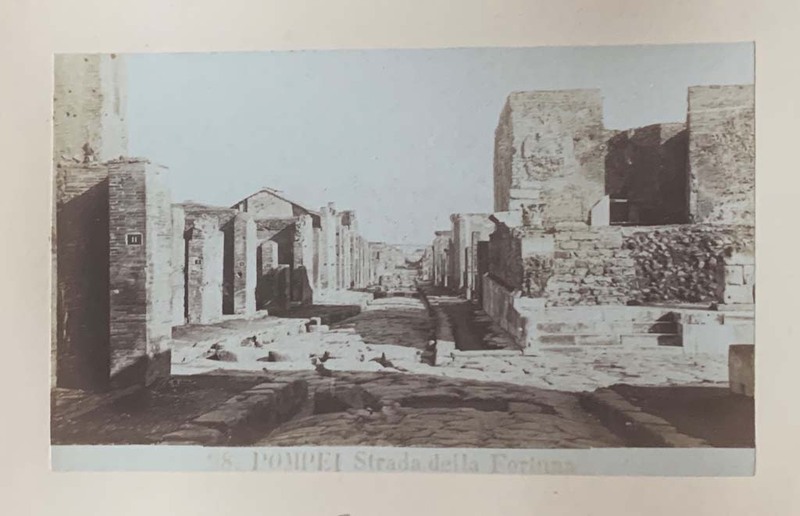 Looking east towards junction with Vicolo del Labirinto, from near VI.12.6.